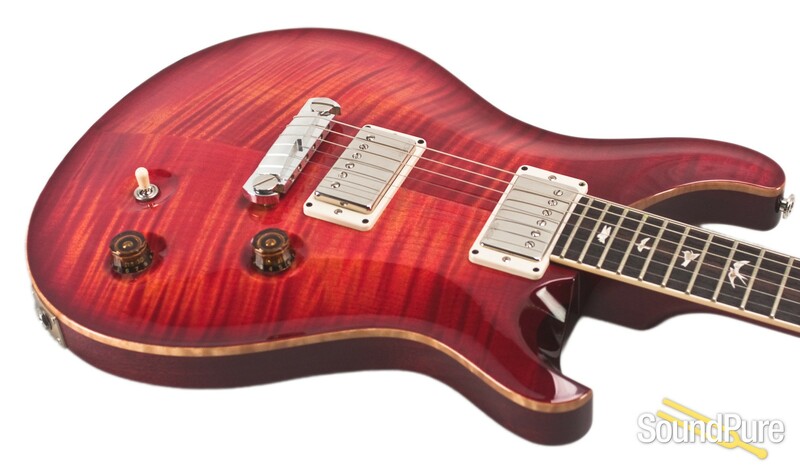 PRS McCarty - Fat Tone in a beautiful blood orange finish !!! 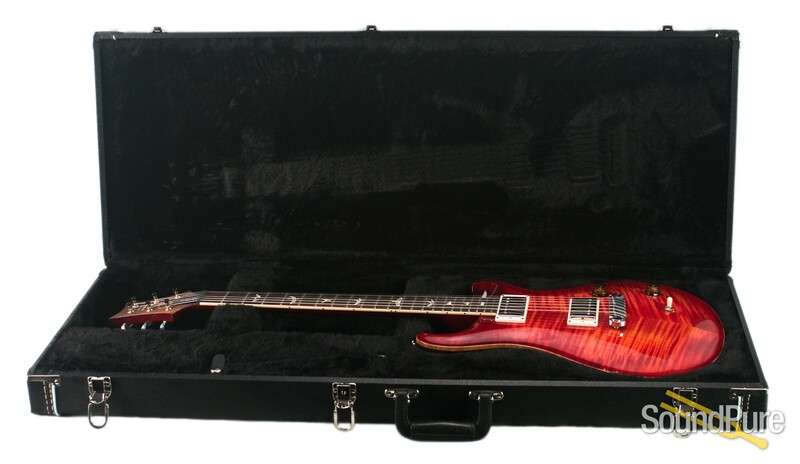 In 1994, PRS released the first McCarty, an instrument that incorporated the full spectrum of techniques and knowledge Paul had gained from Ted as well as his own experiences as a guitar builder. 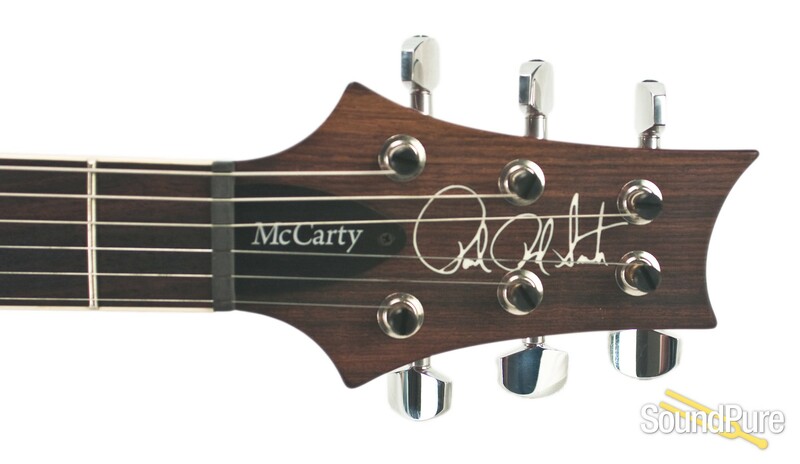 It is in honor of Ted McCarty – his knowledge, his friendship, and his memory – that PRS reintroduces the McCarty model. 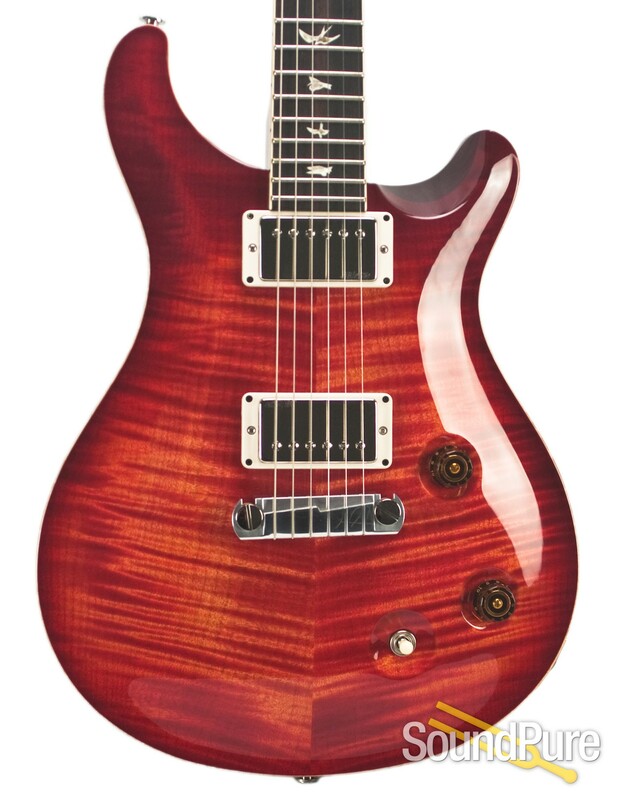 The PRS McCarty model features a slightly thicker back for enhanced tone and sustain and the new 58/15 treble and bass pickups, which were personally designed by Paul Reed Smith. 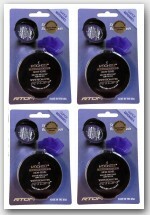 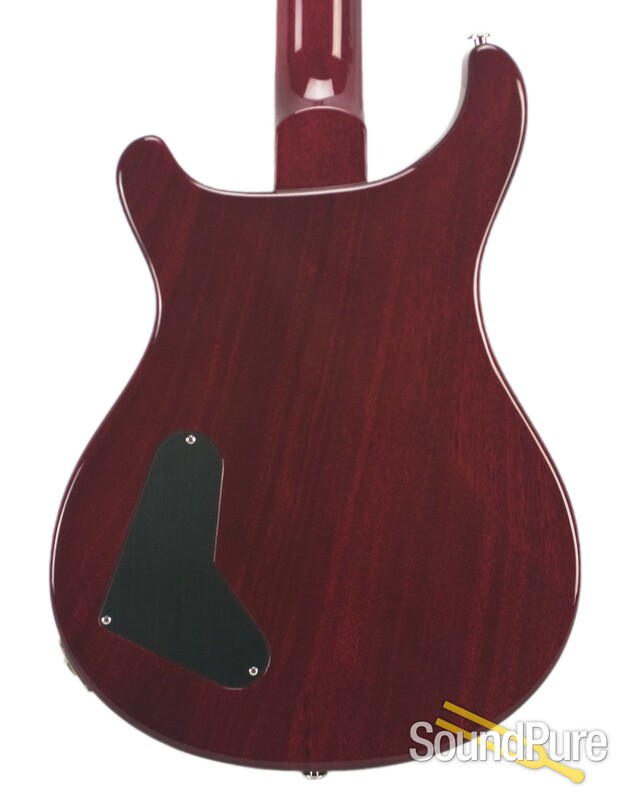 58/15’s are a vintage style pickup with exceptional clarity and focused midrange. 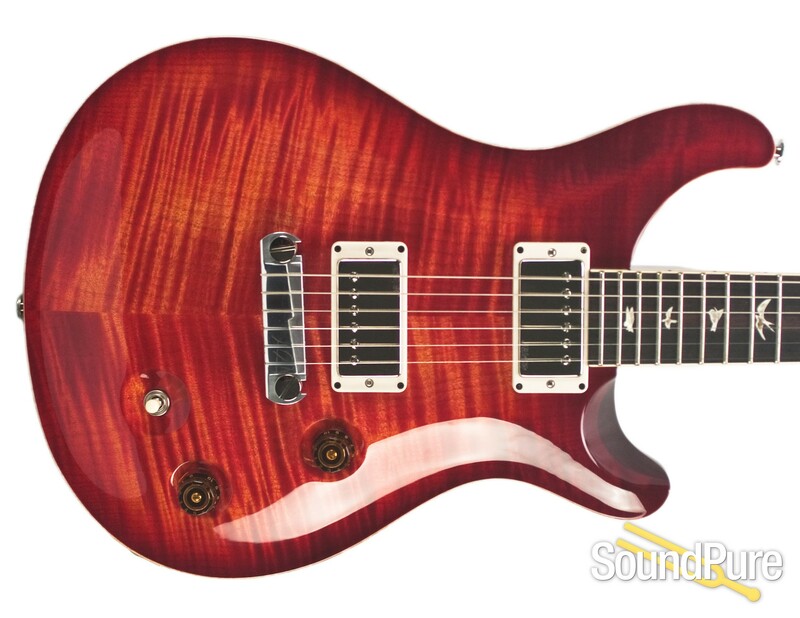 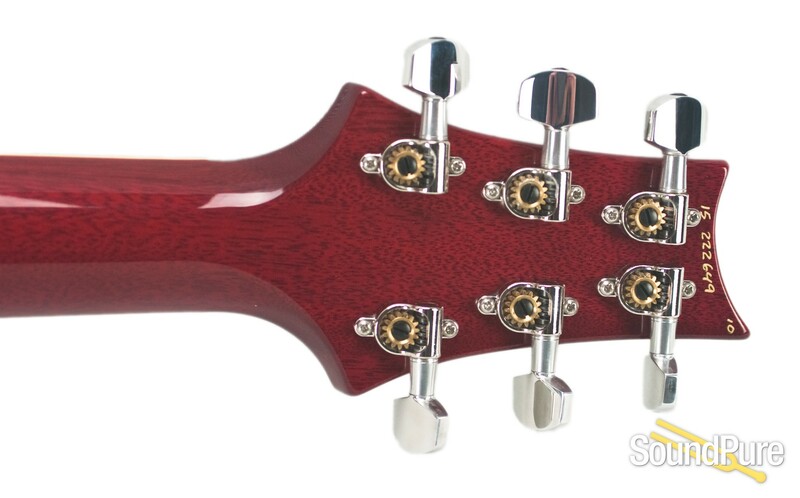 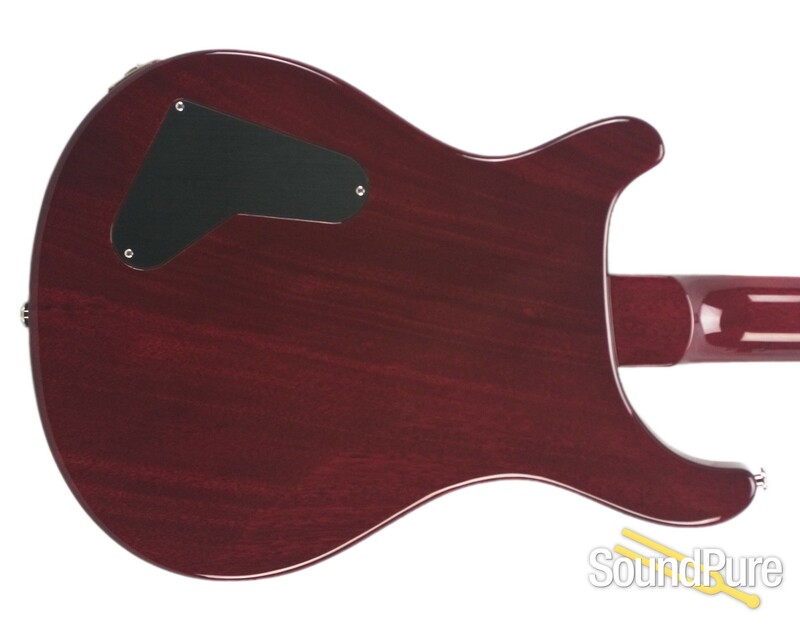 Additional appointments include a push/pull tone control with a 3-way toggle pickup switch for a complete palette of tones, a bound rosewood fretboard, and PRS stoptail bridge.